Wow. I have to say I didn’t see this coming. After the sorry excuse for a comeback album that was Reborn, I wouldn’t have given two cents for Stryper’s further career. But here we are, eight years later, and Stryper have seen fit to bestow the album of the year upon us. Contrary to some of their contemporaries, the current Stryper isn’t a faded ghost of a formerly great band. They are indeed every bit as strong as they ever were and “No More Hell To Pay” can stand proudly besides their classic 80s output. All the musicians are at the top of their game and Michael Sweet’s voice doesn’t seem to have lost anything over the years. Add the best production they’ve ever had to the mix, and it should be clear to even the most foolhardy. 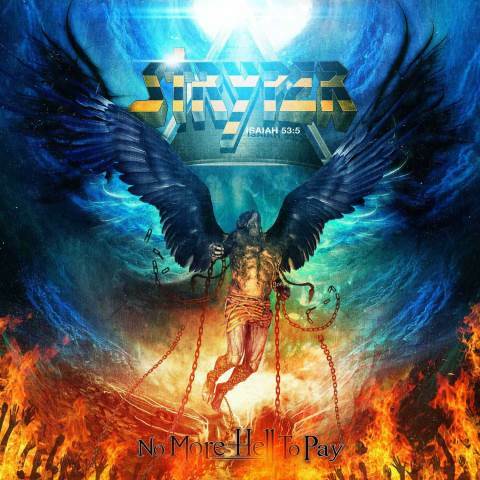 This entry was posted in Reviews and tagged Michael Sweet, no more hell to pay, review, Stryper. Bookmark the permalink.